At the Hollow Tree, originally uploaded by AlmostJaded. Great Cedar Tree, originally uploaded by SqueakyMarmot. I was able to visit this tree in March. The old hollow tree was damaged in a storm this last December and is hardly standing. It has a few cables keeping it from tipping over. The base has also deteriorated considerably making the hollowed out portion quite a bit smaller than in used to be. 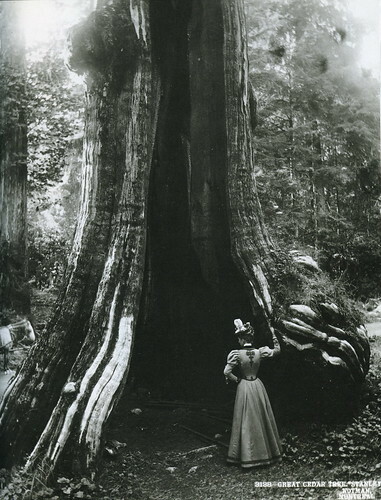 As of April 1st the Vancouver city council has voted to remove the old stump entirely. 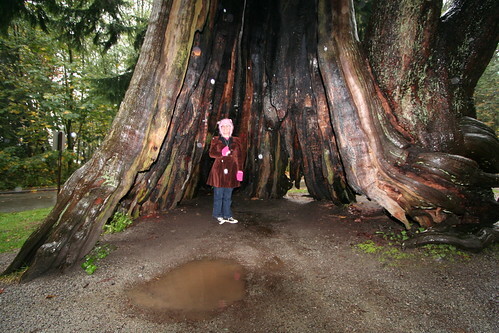 This tree has been in Stanley Park for about 1000 years.